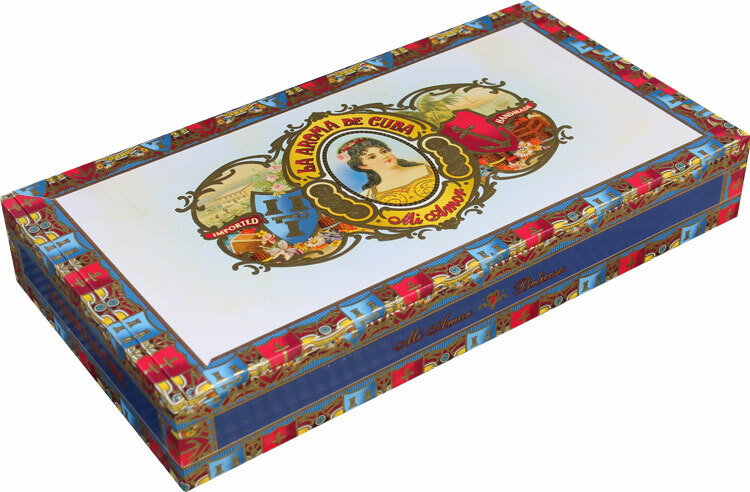 Hand crafted in Don Pepin Garcia's Nicaraguan factory, the La Aroma de Cuba Mi Amor features a dark, toothy Cuban-seed Mexican wrapper and a signature blend of Nicaraguan tobaccos specially chosen by Pepin Garcia to enhance the flavors of the wrapper. The Cuban-seed wrapper grown in Mexico is a robust Nicaraguan blend. Mi Amor offers a rich, medium to full-bodied profile. Mi Amor is simply an excellent addition to the La Aroma line bringing a full-flavored but medium-bodied maduro to the mix and creating a hearty finish.